This section lists the popular games that are played by school-going children in India. These games attempt to bring out the hidden talents in them and improve teamwork. This is a traditional game. Five players are needed. The field is divided as shown. One player is the DEN and he stands in the middle and the other four occupy the other squares. 25 stones are placed in the pathways. The players have to bring the stones into their respective squares without being caught by the den. Once the stones are brought into the squares, then they are to be taken into one square. Now the den moves along the pathways too and the players have to avoid being caught by the den. The one caught first becomes the next den. A line of 10 children stand in a row with their right hand at the back below the hip of the next child. In front of them, one foot away, one child stands as the tiger. At the backside, a line is drawn 20 feet away. As the whistle blows, the first child pinches the bottom of the next child and so on. When the last child is pinched he shouts Ho! Ho! At this all the children turn back and start running to reach the back line and cross it. The tiger touches as many children as possible and they are considered dead. Then the game continues with the remaining children and the child that remains till the last is the next tiger. Two groups of children stand opposite to each other at a distance of 12 feet. Individual numbers are given to the children and a circle is drawn at the center with a kerchief in it, supposed to be the bone of contention! When the leader calls out a number, the children of that number come forward and fight for the kerchief and the team that gets the kerchief for the maximum number is the winner. Depending upon the number of children, a big circle is drawn. All the children run freely inside the circle. One of them is selected as the Billy goat and his hands are tied to his back and he is supposed to catch the children with his head. The first one caught becomes the next Billy Goat and the game continues with lots of fun and enjoyment. On a fifteen feet long line 12 players stand. Three feet away, another line, which is 12 feet long, is drawn. When the whistle is blown, the players run to the front line and stand on the line with the two feet. Those who do not get the line space are out. Again three feet away an eight feet line is drawn and the game continues. In this manner the line becomes shorter and shorter and the one who remains till the end is declared the winner. This sport came to India from the Far- East in the 16th century and became a favorite pass-time of the Mughal aristocracy. It was accepted as a serious sport during the time of Emperor Shah Alam of Delhi. The Nawab of Lucknow gave this kite flying game, a new orientation. A kite flier from Lucknow calls his kite a "Kankawa" and himself as" Kankawabaz". In Rajasthan, the season of kite -flying begins in Makara Sankranthi, in Central India after Dussehra, in North India after Raksha Bandhan and in the Avadh region of U.P after Jamghat, the day after Diwali. Kites are made from color papers according to various models. Two bamboo sticks called "tuddah" which is straight and "Kaamp" which is arched, hold it together. 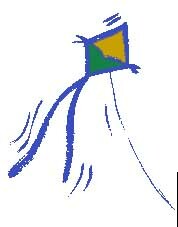 The string attached determines the performance of the kite. "Patangs" are of different colors, shapes and kinds. It is the most inexpensive game but for the string. Two or more players play this game on a piece of paper. A player who uses different colored pencil can join two dots. Each player is given a chance alternately and the aim is to make a square and put ones initials inside the square. 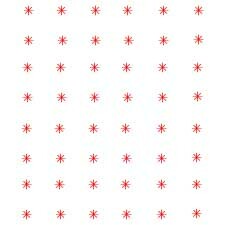 One can also join dots to stop the other from forming squares. The one who completes more number of squares is the winner and the size of the play area can be enlarged. Young boys play this oldest game of India. Mainly the arms are used to catch the opponent by the stomach and legs and make him loose by falling on his back. Here the strength of the boys involved is very important. This is a popular game in India among the teenage boys. The Lattu has lacquer on its top and a nail below to rotate on. From below the lattu fine cotton string of one-yard length is wrapped till the top. Then they throw the lattu on the ground in a particular manner so that the string comes to their hand and the top begins to rotate. The child whose top rotates for the longer period is the winner. Some children are also experts in taking the rotating top into their palms and holding it for sometime. Mostly girls all over the country play Hop Scot. First a small disc is thrown into the first square. Then the child hops onto the disc and pushes it through he consecutive squares and completes it. She steps into the square with the disc without touching the disc. The player resumes to play in the square where she left if her opponent is out. The child who completes all the squares first is the winner. • If while collecting the pebbles, her hand touches the other pebbles. This is played by groups of players by using one small and pointed stick and one long stick. The small stick is put in a hole. The long stick must be touched to the small one and then thrown at a distance. The distance is then measured and the one who has the largest distance gets a point and is recorded. The player with the maximum number of points is the winner. 8 or more children can play it with a leader. The players move around in circle. The leader calls out a number and the children immediately group themselves into that number and anyone left out is out of the game. If any group is large or small compared to the number called by the leader, then the members of the entire group are out of the game. The last one to remain is declared the winner. Skipping or jump rope provides lots of fun and exercise for the children even in a limited area. This can be played both indoors and out doors and by one or many children. It can also be played by both the sexes, though mostly girls play this game. A 6 yards rope with quarter inch diameter is used. Two wooden handles each 5 inches long and one diameter ends with a hole or on both the sides and the rope is put inside the holes in the handle and a knot is made and so the rope does not slip away. The child holds the rope in both the hands and let it hang behind to touch the ankles and then swing it in an arch over the head and down. As it reaches the feet, you jump over it with a step or hop or two footed jump and the whole process is repeated again maybe with an increase in speed. Then they count this process until a break is made. Skipping races for children for 100m, 200m etc can also be held.